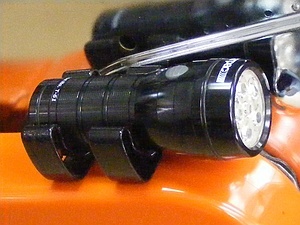 NIGHT EYE - A bright LED light that provides illumination on a smokey roof or while cutting a roof at night. CARRY SLING - A heavy duty, adjustable shoulder carry strap with reflective stripe and large brass hooks. CARBIDE TIP BLADE - Your choice of a 24-tip (12-inch) or 30-tip (14-inch) wood cutting carbide tip blade. FLASHING LIGHT - A red LED flasher that attaches to your belt to help you stay visible on a smokey roof. 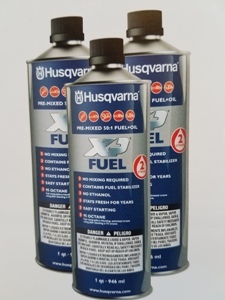 Husqvarna Pre-Mix Fuel High octane (95) fuel mixed with Husqvarna's best synthetic oil blend. 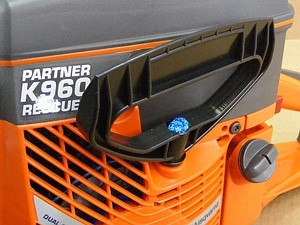 For use in Husqvarna power saws. Does not contain ethanol. 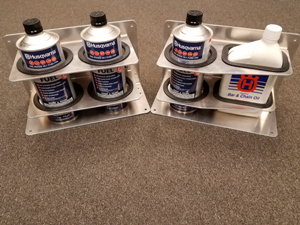 1 quart cans. 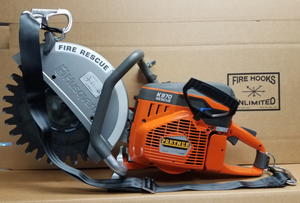 * K-12FD RESCUE SAW "PACKAGE"
* K-970 WITH GUARD 12" or 14"
* K-770 WITH GUARD 12" or 14"
Our "Package" includes magnesium guard, blade, wrench with holder, night eye light, shoulder strap Our standard saws are "Plain Jane" with no accessories. 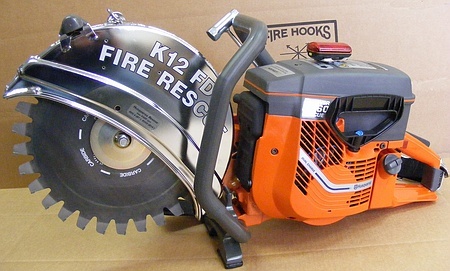 The K-12 FIRE-RESCUE SAW is designed exclusively for the fire service, pound per pound this saw is the most effective power cutter in the field. 6.1 horsepower weighing an unbelieveable 23 pounds. 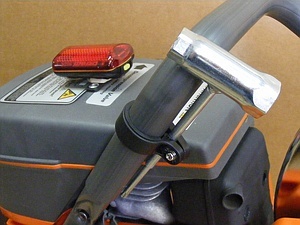 The FD-770 is offered with a 14" guard and a 12" guard. The FD770 12" is ideal for forcible entry. 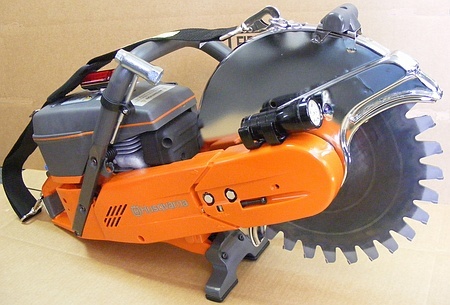 It is also great for roof cutting due to its unique power source and the use of CHOPPER blades. This saw consists of five horsepower and weighs less than 20-pounds. 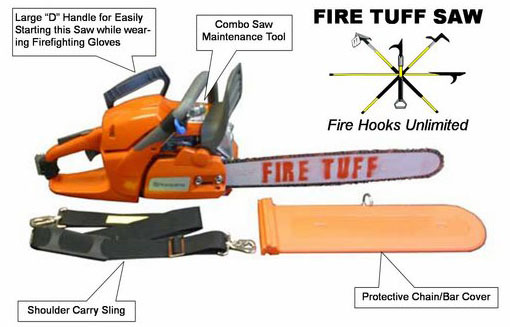 This light weight saw is a perfect choice for any fire department operation.